So I started making it myself almost 6 months ago to the day (it was my birthday) so here I share the best recipe I have. Roll out the pastry. They tend to be square-ish, so you might have to cut bits and pieces off the edges and add them somewhere else so the entire dish is covered when you put it in (don’t forget to butter it first, or use baking paper). 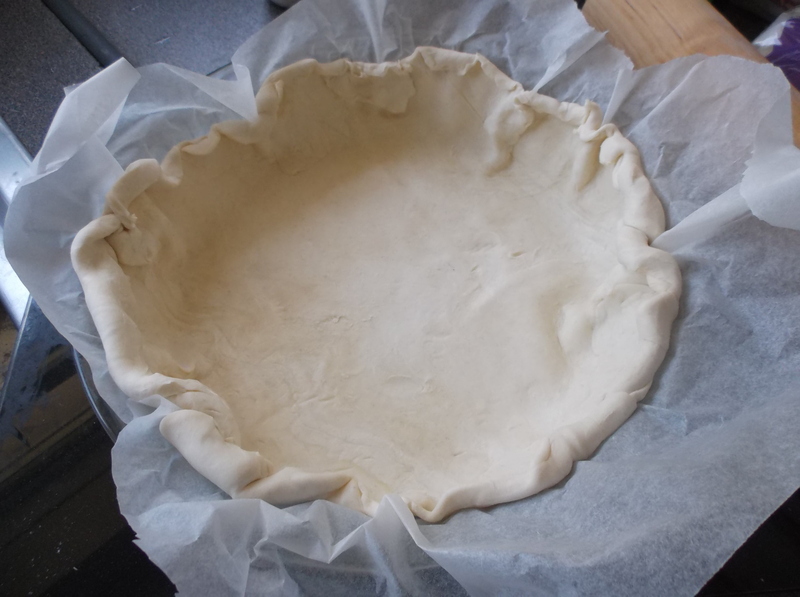 I like making a bit of a roll at the top of the pastry dish so it doesn’t spill out while cooking. 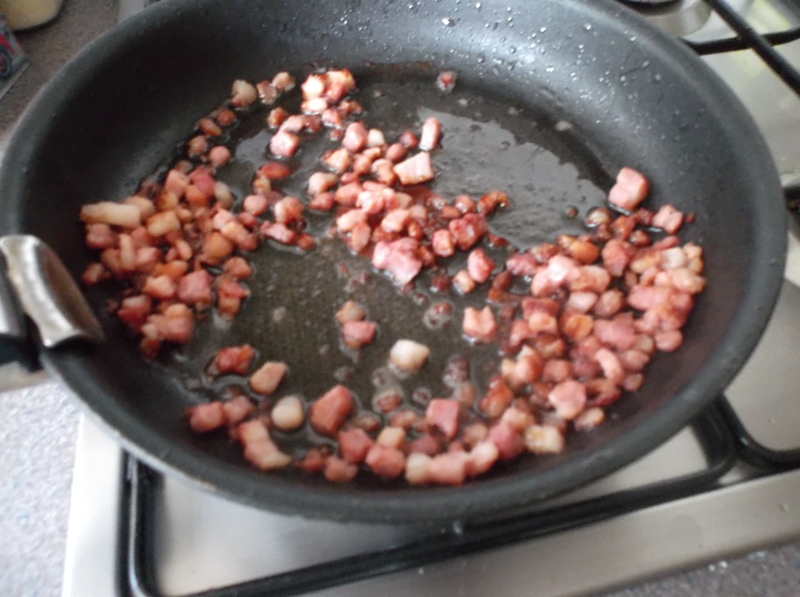 Put a little butter in a pan then fry the bacon or Pancetta. Make sure it doesn’t go brown, or your quiche will end up tasting quite roasty. Separate egg whites from yolk and blend the yolk in with the flour using a mixer, adding a pinch of salt and pepper, and add the nutmeg if you want. Mix in the cream bit by bit. Dice the cheese in small bites and spread at the bottom of the base along with the bacon. 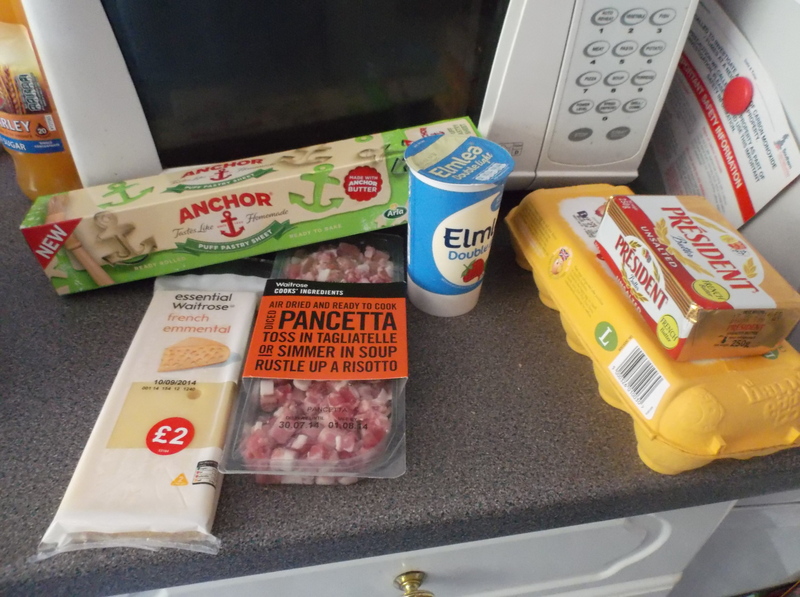 Beat the eggs stiffly and then fold them into the quiche mixture. You want the whole thing to be ultra fluffy. Pour into the base and stick into the pre-heated oven at 180°C for 30min. Just before the time is over, brush the top of the quiche with the egg yolk or milk, then return to oven until the time is up. 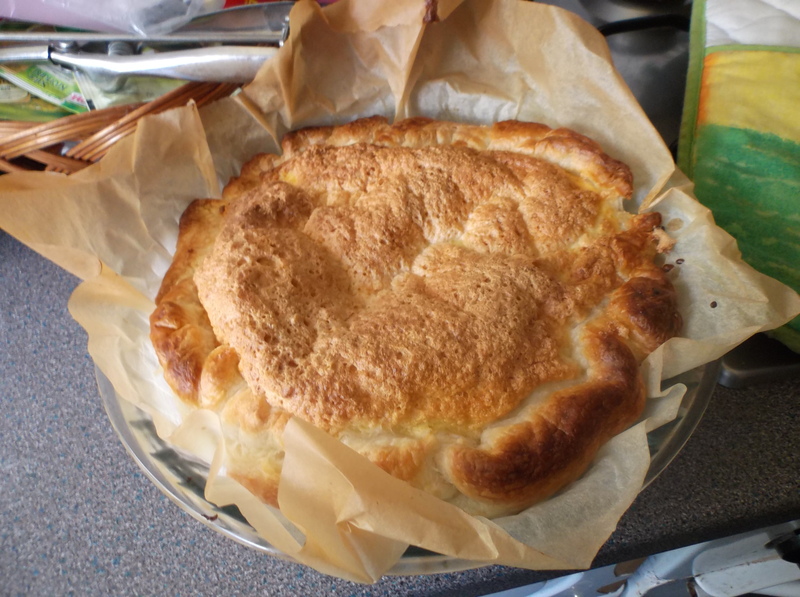 Tags: baking, french, pastry, quiche, quiche lorraine. Bookmark the permalink.